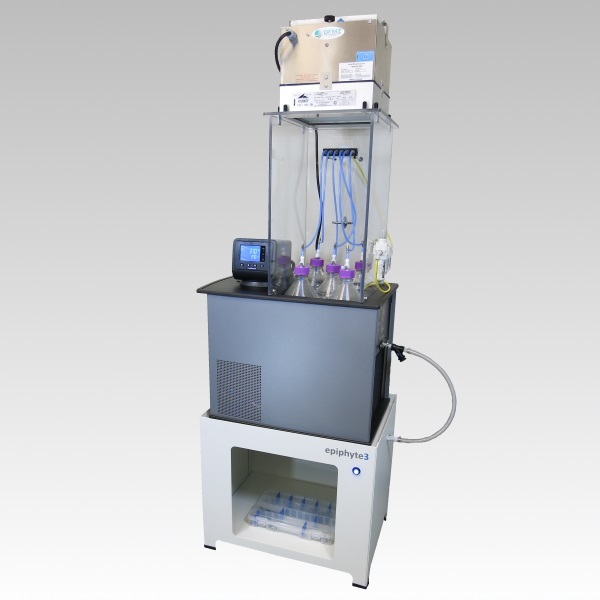 LEX-10 Bioreactor for the parallel growth of up to 5 two-liter cultures, or 6 (9 with expanded manifold) one-liter cultures. Contact us, request an online quote, or find a distributor. Copyright © 2019 Epiphyte Three Inc. All rights reserved.